When we think of tube bending, we often associate it with metal manufacturing applications, and soft metals that can be bent in large and small radiuses for different purposes. Yet for many industries, such as certain chemical and life sciences manufacturers, metals are problematic because the chemicals that are being produced can erode the material. In addition, corrosion of the metal weld can enter the chemical during processing, contaminating the product and making it unusable. 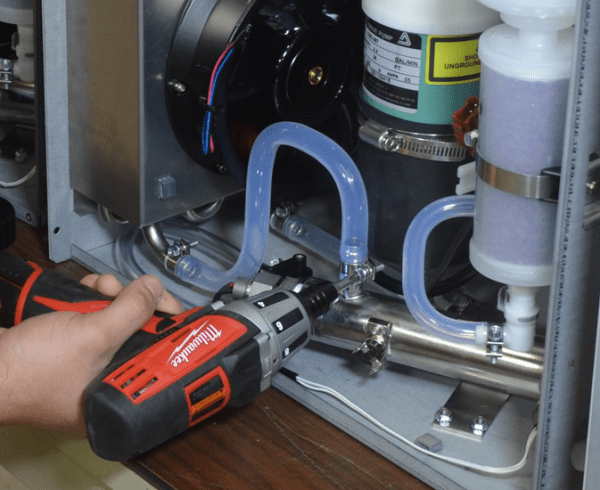 In these instances, OEM companies require piping kits made of non-metals, which cannot include metal welds that could flake off into their processes. Here at Axenics, we are a contract manufacturing organization and component manufacturer with decades of experience in custom precision tube bending. While we offer metal tube bending to manufacturers, we are also experts in plastic tube bending, with the ability to create a variety of shapes and angles using a variety of plastic piping. 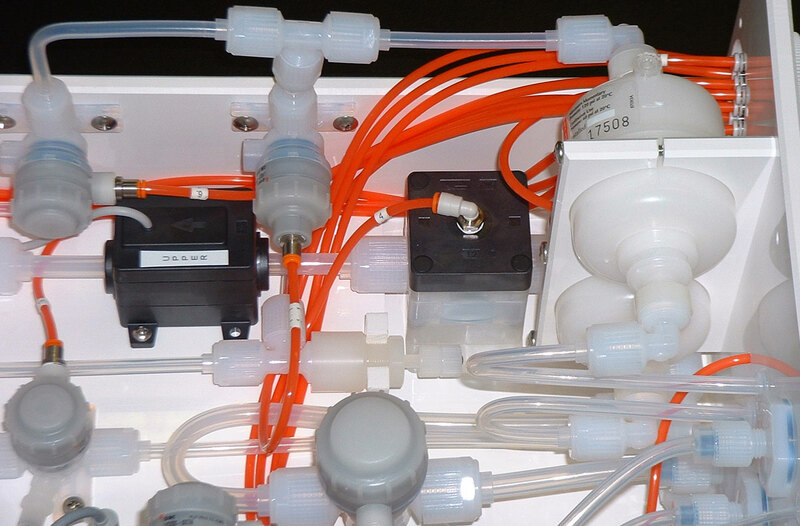 Axenics works with a wide range of plastic materials to create piping kits and tubing assemblies. Our technicians commonly work with polytetrafluoroethylene, which a is thermoplastic material used in many different types of industries around the world. Polytetrafluoroethylene, or PTFE, is chemical resistant. So, for chemical manufacturers and biomedical industries, this plastic is ideal for the transport of corrosive liquids. In addition to working with PTFE, we also work with plastics such as polypropylene (PP), polyvinyl chloride (PVC), and chlorinated polyvinyl chloride (CPVC) as well as many others. Our custom tube bending processes can be used on pipes as small as 1/16 inches, and up to 2 inches. We have developed proprietary technologies that are used to bend plastic pipe that avoid kinking of tubes and pipes. Kinking is undesirable because chemicals and other liquid materials can become trapped or caught up in the kinked part of the plastic. This can hamper the flow rate and slow down production processes. It can also allow the liquid to build up and possibly congeal or dry into the kink, forcing manufacturing companies to constantly clean and sterilize their piping to clear out the trapped liquid. For manufacturers who are worried that any contaminants will enter their liquids or chemicals from the piping itself, Axenics can perform tube bending processes in a Class 100 Clean Room. We receive raw tubing that has been professionally cleaned and bagged by the plastic supplier. This process reduces the number of contaminants on the plastic from the start, reducing what can enter our clean room as we perform the custom tube bending to meet your specifications. With our proprietary custom tube bending methods for plastic materials, Axenics can provide more options on how manufacturers can connect their plastic piping. By employing tube bending in the right circumstances, we can create a variety of shapes and bends that can decrease the number of joints and fittings required in a certain space or assembly. This can save companies money in the long run as they won’t need to purchase tees, elbows and other joints to redirect the plastic tubing in the desired direction. Offering a range of tube bending configurations, piping materials, and proprietary bending methods has allowed Axenics to lower the costs of bending services, which allows us to share this savings with our manufacturing clients. This means they get tube assemblies bent and joined according to their specifications, allowing them to quickly assemble the tubing or piping kits into their production processes without diminishing the amount of available workspace for employees. This means our clients can increase their production capabilities without increasing workplace expenses, while still building operations that suit the company’s objectives. Learn more about the proven benefits of precision tube bending..